On Day 17 of the Aadhaar hearing, senior counsel KV Viswanathan continued his submissions on behalf of the petitioners in context of Section 59 of the Aadhaar Act of 2016, which lays down that all actions taken or anything done prior to the coming into force of the Act shall be deemed to have been validly taken or done under the said Act. 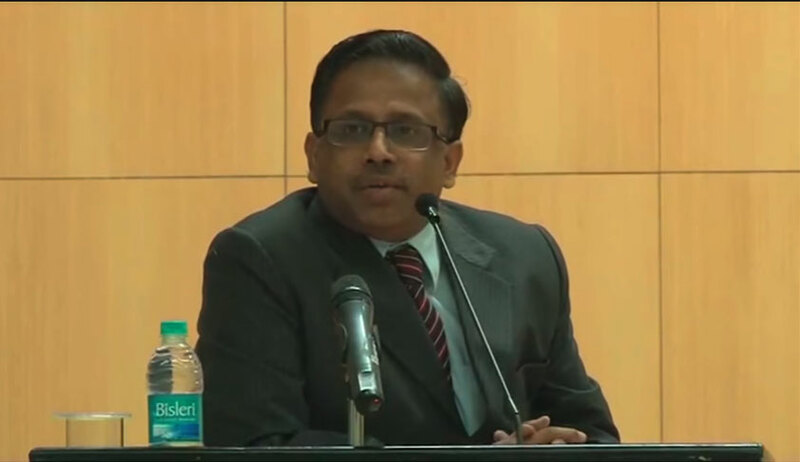 He cited the 1996 judgment of the Supreme Court in Delhi Cloth & General Mills v. State of Rajasthan, wherein it was observed that a validating law must remove the cause of invalidation of the previous Acts and that a validating Act cannot be valid and effective if it merely deems a legal consequence without amending the law from which the said legal consequence could follow. Further, he stated even if it is assumed that Section 59 was validly enacted, on the grounds that there was no informed consent or procedural safeguards in respect of enrolments done prior to 2016, the said Section would be violative of the right to privacy under Articles 14 and 21. “Section 59 cannot lawfully declare that the requirement of informed consent of the persons applying for enrolment prior to 2016 was complied with,” he submitted. Urging that the Supreme Court may examine the existence or non-existence of the so-called facts and whether the legislative declaration was made in ignorance of the facts in reality, he cited the judgment in Indira Sawhney v. UOI [(2000) 1 SCC 168]. Moving on, Viswanathan submitted that marking out for deprivation from entitlements and services of those who assert their right to privacy and refuse to part with their personal confidential data amounts to unreasonable classification under Article 14. In the same context, he cited the judgments in Ahmedabad St. Xaviers College Society v. State of Gujarat (1974) and Olga Tellis v. BMC (1985). In respect of his argument on bodily privacy, Justice Sachs opinion in the 2002 judgment of the Constitutional Court of South Africa in Jordan v. State was discussed. In respect of the concern regarding retention of data, the 2013 judgment of the European Court of Human Rights (ECHR) in MK v. France was cited, wherein a French national had complained of the fact that his fingerprints had been retained on a database by the French authorities. He had been the subject of two investigations concerning book theft, which ended in one case with his acquittal and in the other with a decision not to prosecute. The ECHR considered, in view of the circumstances of the case, that the retention of the data in question amounted to disproportionate interference with the applicant’s right to respect for his private life. The 2008 judgment of the ECHR in S and Marper v. The United Kingdom was also cited wherein the court had observed that “the blanket and indiscriminate nature of the powers of retention of the fingerprints, cellular samples and DNA profiles of persons suspected but not convicted of offences fails to strike a fair balance between the competing public and private interests and that the State has overstepped any acceptable margin of appreciation in this regard. Accordingly, the retention at issue constitutes a disproportionate interference with the applicants' right to respect for private life and cannot be regarded as necessary in a democratic society. This conclusion obviates the need for the court to consider the applicants' criticism regarding the adequacy of certain particular safeguards, such as too broad an access to the personal data concerned and insufficient protection against the misuse or abuse of such data”. Referring to the recent judgment of the Supreme Court on passive euthanasia and living wills, Viswanathan submitted that subjecting human beings to probabilistic biometric authentication was no different from experiments on guinea pigs and hence, is violative of the right to dignity. In respect of Section 33(2) of the Aadhaar Act permitting the disclosure of identity information and authentication records in the interest of national security, he advanced that the 1996 judgment of the apex court in PUCL v. UOI concerning telephone tapping and the consequent invasion of privacy has not been adhered to. Citing the Economic Survey of India’s report, he submitted that the rate of exclusion is as high as 49 percent in Jharkhand and 37 percent in Rajasthan on account of Section 7 of the Aadhaar Act. Further, he stated that the State has been unable to satisfactorily display the link between the mandate of Aadhaar and the plugging of leakages in social security schemes and government savings. The hearing shall continue on Thursday and Viswanathan shall conclude his submissions. The petitioners have been directed by the bench to finish their arguments by Tuesday.